Last night we took time off to go purchase my son's school uniform. 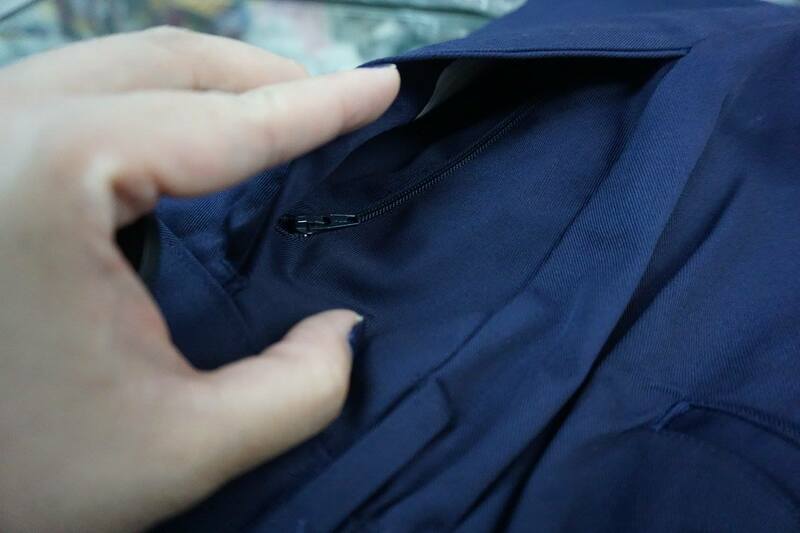 I know that he's size will be difficult to shop and we head to Professor Uniform at SS2. 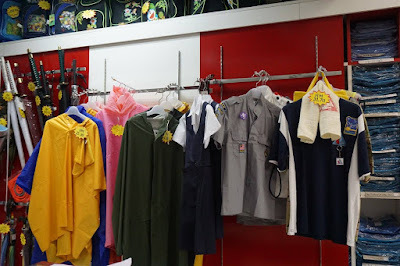 I am not just shopping for his size but also for the quality of the school uniforms. 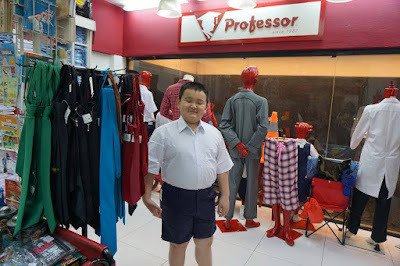 My son is happy and excited as we can shop for his school uniform. We don't like last minute shopping and have decided to shop early for him. 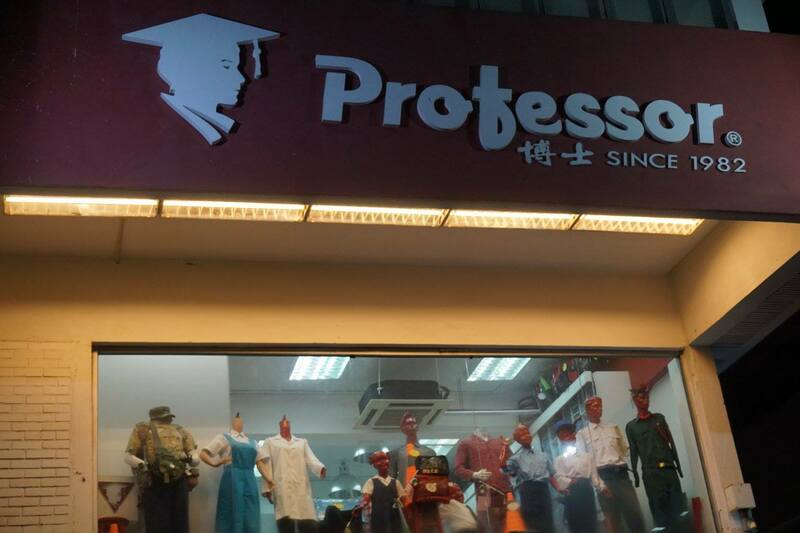 The shop assistant of Professor Uniform is helpful and friendly. there's inner pocket in this short pants, easy to keep sake the coins. Sean told me that some sometime it is tough for him to purchase meal at canteen as he needs to hold his wallet and then collect then changes from the seller. 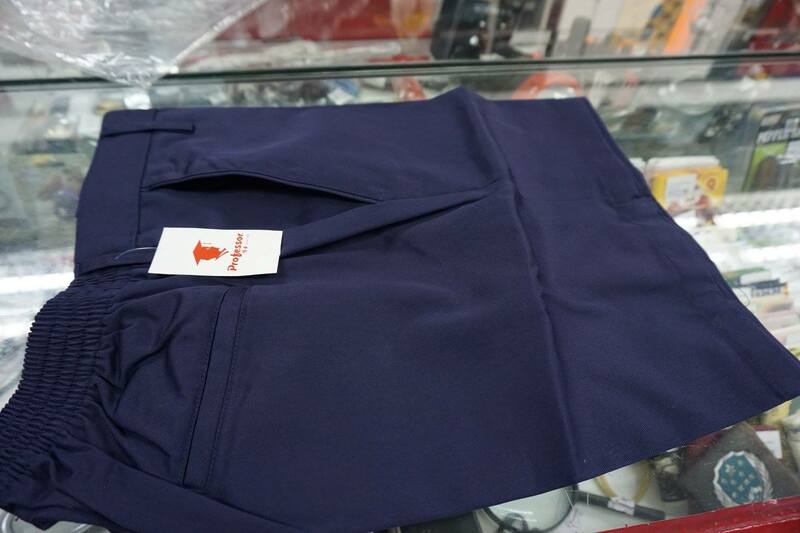 It is good that this pants has the inner pocket, he can use it to keep the change from the seller. 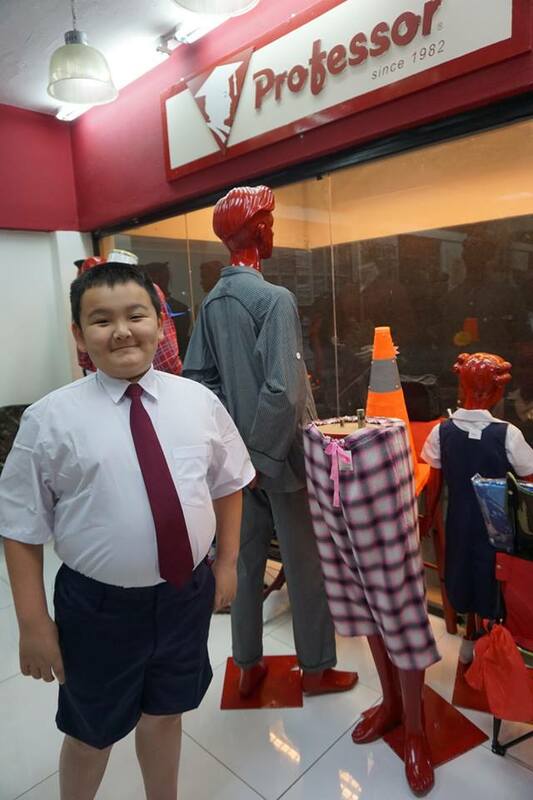 He's going to be Standard 5 next year, we are glad that we found the school uniform here. He's wearing size 16 for the white short sleeve's shirt, and there's size 18 available too. Professor Uniform is a one stop for school uniform and outdoor gears. There's a sales corner and I saw some white pair of shoes which cost RM22 for a pair. With internet access we can also shop online for school uniforms and accessories. They have a website to online and provide free shipping on orders above RM22. more photos can be seen on album, click on the link to view it. Good to purchase early. I got uniforms for my children too. yeah, I bought size 16 for him as 18 will be too big for him. 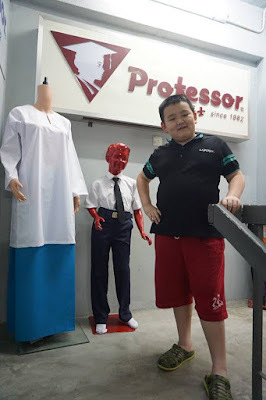 :D good to know they have his size for school uniforms. 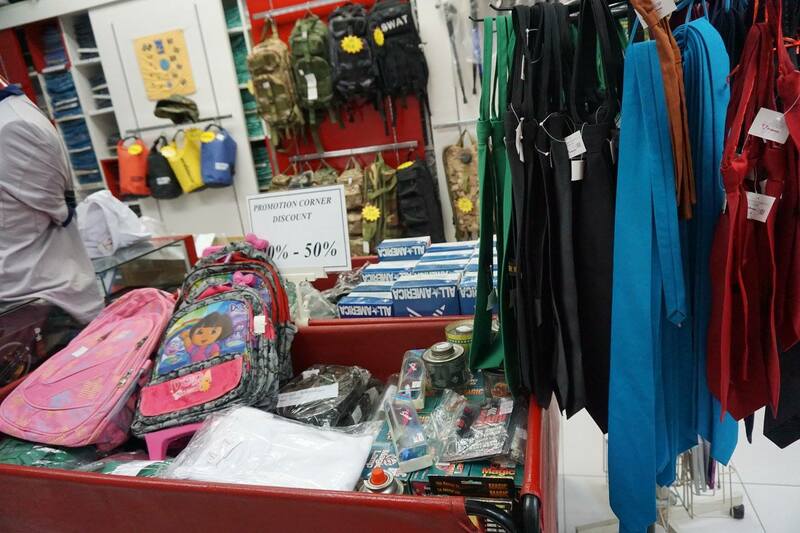 Your post reminded me how my parents would only take me shopping for school essentials at the last minute. It was always a rush and we never had many choices, either. 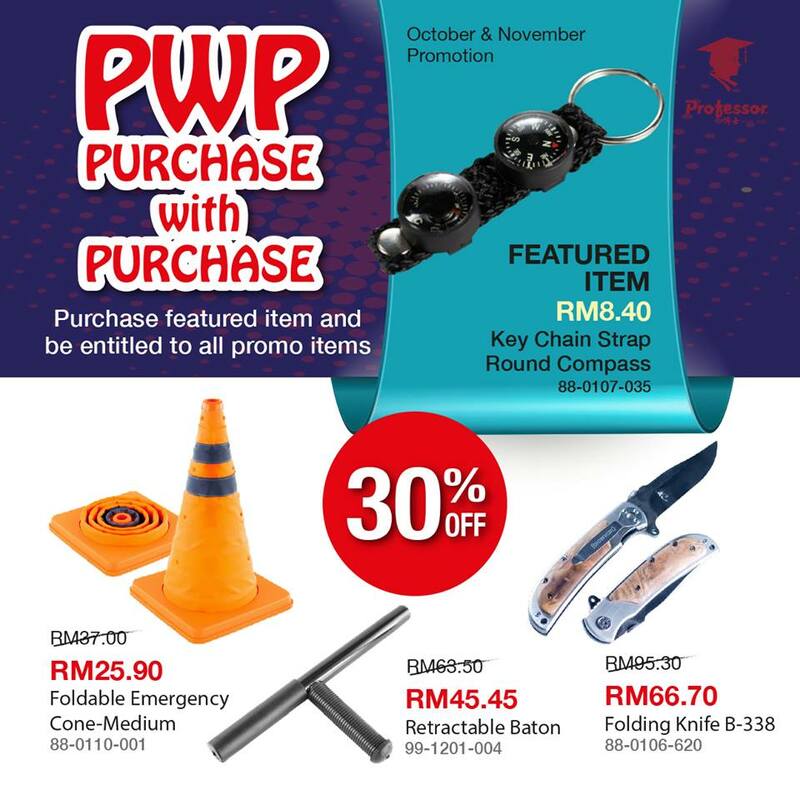 yeah don't forget to join their contest too. so i heard school holidays are over? :).. omg, my time will soon come, once the boys need to go school, then i'll have to start shopping for school uniforms. ><"
Wah! so early get his school uniform all sorted out. Good choice. Your son looks so cute in the outfit ! this has remind me when i was a student!